Use Android device to emulate USB devices over Bluetooth. All-In-One keyboard, mouse, keypad, barcode scanner, etc. hiDBLUE device allows any Android device with Bluetooh present to emulate standard USB keyboard and mouse on broad range of computers running Apple MAC OS X, Microsoft Windows, Linux, BSD, Android, etc. Next to end-users market, hiDBLUE device is suitable also for integrations into other IT solutions. Vendors are fully supported with documentation and code examples. All hiDBLUE software is royalty-free. Furthermore, customization requests are welcomed. Detailed presentation clip is available here, where its condensed version is available below. The dongles are on stock. Quantity ordered: 1 €49.00 Pack of 2 €98.00 Pack of 5 €239.00 Worldwide Shipping included, VAT excluded. If you live outside EU and would like to arrange VAT exemption (the parcel gets CN23 declaration), please contact us before placing the order. EU VAT-registered companies shall contact us in order to process VAT exemption. In the product presentation video clip, you can observe Demo applications executed on Android and Microsoft Windows platforms. These applications were built on top of hiDBLUE APIs, documented above. hiDBLUE radio is Bluetooth SIG fully certified Class 2 device and certified according to FCC Part 15B and Part 15C. It is compliant to RoHS directive. hiDBLUE device is made in EU. The production complies with EU labour and environment legislation. 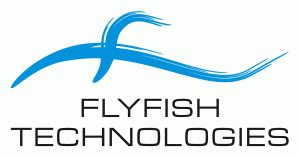 © 2012-2019 FLYFISH TECHNOLOGIES d.o.o.